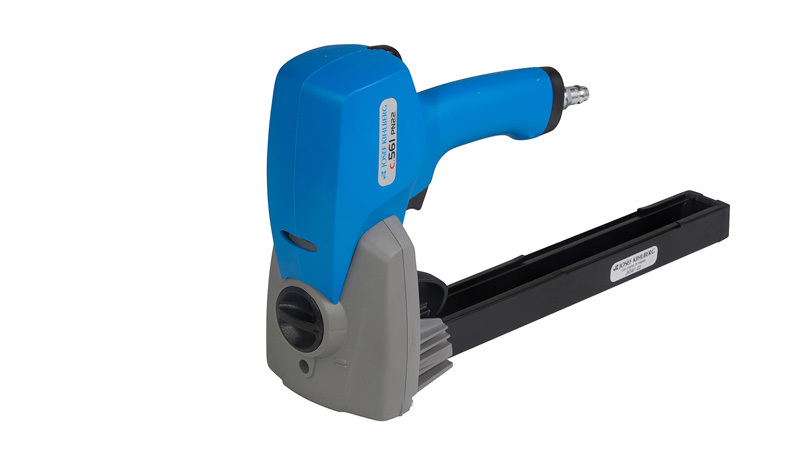 Top stapler c. 561PN is a Swedish-manufactured pneumatic top stapler for professional use. The tool is equipped with cover caps in engineering plastic providing a low weight; wear parts are made of metal. The tool is easy to adjust for different stapling depths and has precise (repeatable) stapling and a complete stapling cycle. It has good balance, a comfortable handle, and adjustable stapling depth requiring minimal maintenance.